Home > Blog > Are Dental Onlays For Me? Are Dental Onlays For Me? If you are dealing with tooth decay issues, the traditional remedy is usually to get a crown or a filling. However, the problem with crowns is that they can degrade the remaining, healthy part of the tooth. Also, crowns can often become loose and may need replaced in 10-15 years. Therefore, considering these disadvantages of crowns and fillings, maybe Dental Onlays are the right option for you. 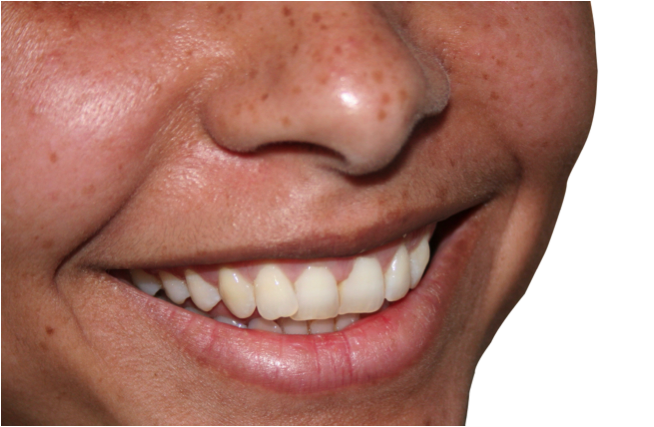 Dental onlays are a more conservative alternative to a filling or a crown. Whereas a filling or crown is molded inside the patient’s mouth during the visit, an onlay is made from an external site and then applied to a client’s teeth by a dentist at a later date. An onlay can be made from a variety of materials, including gold, porcelain, or resin, and each material is best suited for a different purpose, depending on which tooth needs to be repaired. Dental onlays can treat a number of dental issues. If you are dealing with tooth decay or even tooth loss, an onlay may be an ideal option. In addition, patients suffering from hypersensitive teeth can have their symptoms relieved with the implementation of an onlay. An onlay is also an effective treatment for a tooth that has cracked. Dental onlays are made by using a mold of your teeth, so, unlike alternative treatment options, they protect only areas of the tooth that need repair while preserving as much healthy tooth as possible. The precise fit allows the tooth to be easily cleaned – just as it was before the procedure – whereas the fillings’ tendency to shrink during the curing process can make for a more difficult cleaning process. Unlike fillings and crowns, porcelain onlays are much less likely to discolor over time. This special feature of an onlay allows for a much better-looking, brighter smile for a stronger overall aesthetic appearance. Whereas fillings and crowns can be temperamental and need to be replaced overtime, onlays are more durable and will not break down as easily. The fact that they only cover damaged and decayed tissue, while also preserving healthy tissue, means that they stay functional for longer. In fact, unlike fillings and crowns that can weaken the integrity of healthy teeth, onlays can actually strengthen a damaged tooth. Onlays fit just over the weak areas of the tooth. They do not require a complete reshaping of the tooth, which saves you from a more invasive procedure. What Are The Risks Of Onlays? While onlays are useful, there are still some inherent risks. The tooth is permanently altered when the onlay is applied, so repairs are lasting. Preparing for and applying the onlay can also cause sensitivity in the tooth for up to three months after the procedure. Also, if the cement seal does breaks down or is lost, it becomes a growth spot for decay. Should I Get An Onlay? Ultimately, the decision of whether or not dental onlays are for you comes down to a discussion between you and your dentist. Your dentist is best suited to know exactly what kind of treatment you need. While they do carry risks like most procedures, dental onlays are a conservative, safe and effective treatment to protect and repair your teeth.